So… after I made a note in my calendar (didn’t want my tired brain to forget) I went to Pinterest. I didn’t find as much and I thought I would, but enough to help me get some ideas. Now wear to find my bottles. At first I thought about saving empty condiment bottles like mustard, ketchup, Worcestershire sauce. But after I had a small collection I didn’t even think paint could make them look like anything but painted condiment jars. Not the look I was going for. Craft store here we come. No luck. 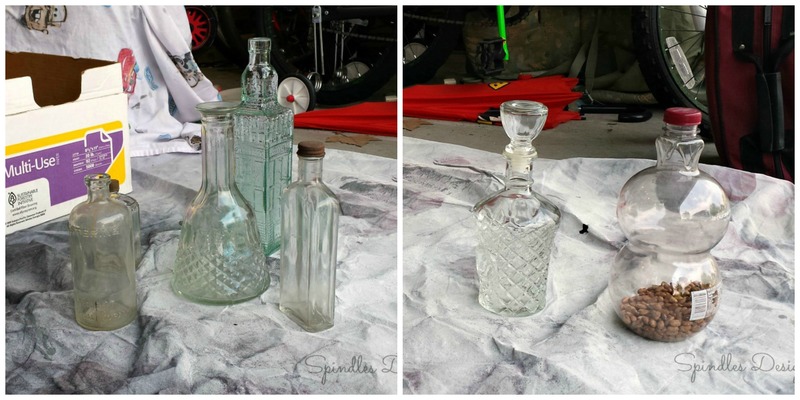 They didn’t have anything that looked like a potion bottles and besides the price wasn’t right. Then my parents invited me to the Flea Market. 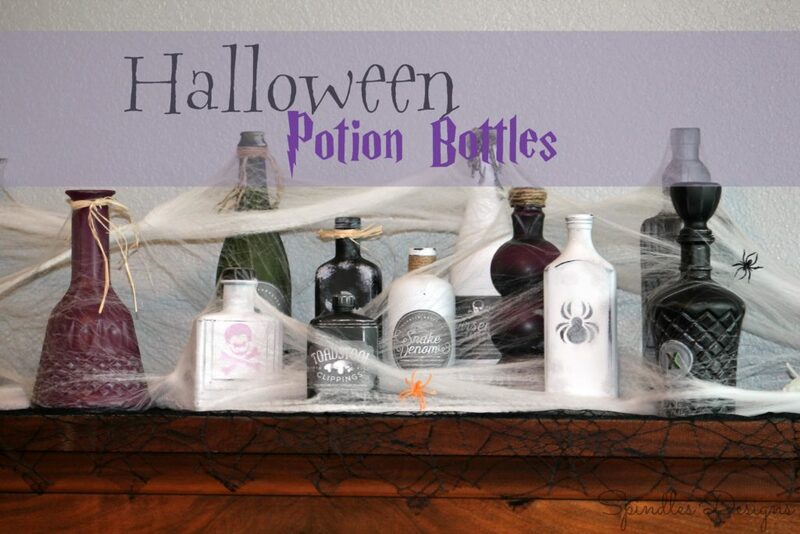 Look aren’t they perfect potion bottles. And the best part….cheap. 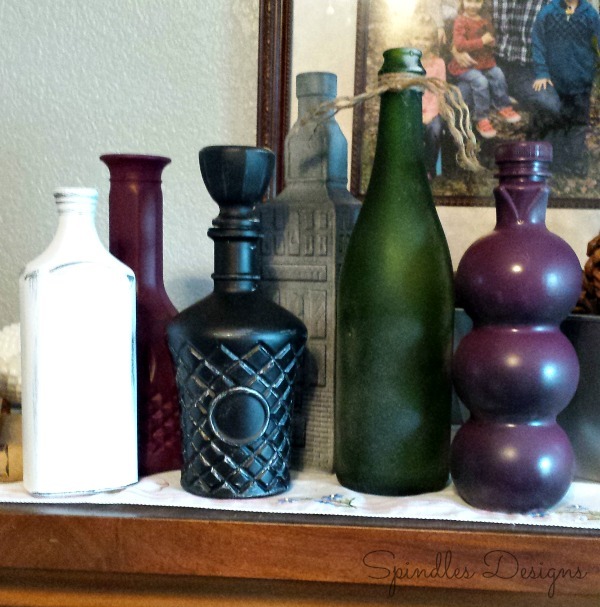 I fell in love with the flea market – so many great finds. I’ll need to write more on that later…but Joanna Gains here I come. As usual I got so excited about my project I forgot to take pictures. Needless to say I used spray paint – sometimes layering to different colors and then lightly sanding off the top layer of paint. This helped get the old slightly creepy look I was going for. I also used a dry bush technique to add some antique look. I found my potion labels at World Label. I used simple double-sided tape to attach them to my bottles. 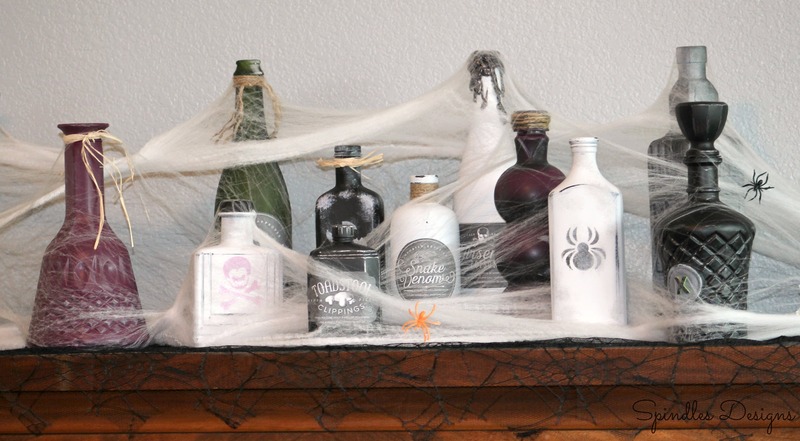 Then there was some Halloween stencils, craft raffia, jut, and finished off with some decor spiderwebs. You might also like to visit our Etsy Shop for your Holiday Decorating. Who’s creative mind is behind all of these? Jason Cruickshank recently posted…resellrightsmachine.com – 10 Niche Audio Ebooks With Resell Rights!